What's up, Kansas Citians. Are you busy this Wednesday? If not, great. If you are, well, you should cancel your plans. 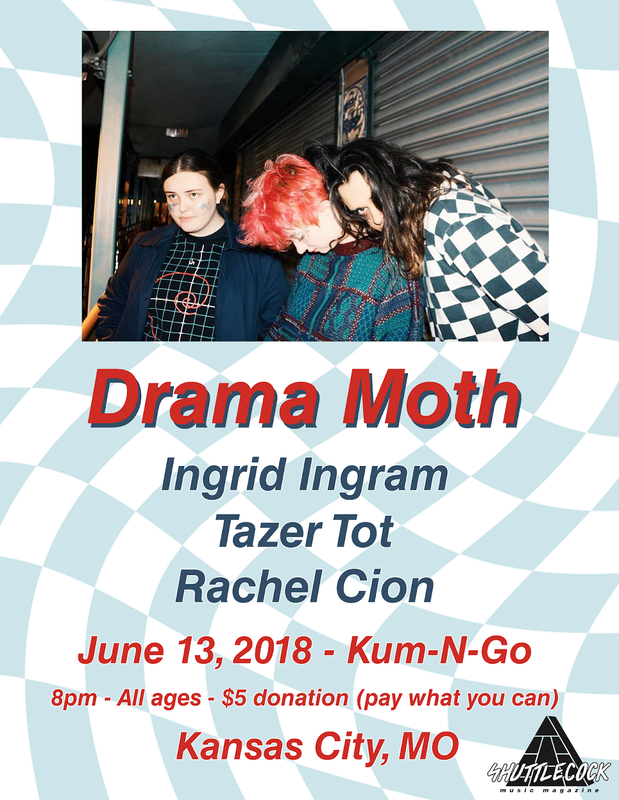 Shuttlecock is hosting Chicago dance pop trio Drama Moth at the Kum-N-Go house and you're invited. Joining these fine and talented Windy Citians will be local acts Ingrid Ingram, Tazer Tot, and Rachel Cion. We hope you can make it! The show is Wednesday, June 13, 2018 at the Kum-N-Go house in Kansas City (email AaronRKC@gmail.com or hit us up on social media if you need the address). Doors open at 8pm, it's an all ages show, and we're asking that you donate $5 for the touring band (however, nobody will be turned away due to lack of funds). RSVP and invite your buds on Facebook.